Of all my job market advice, the admonition *Do Not Carry a Backpack* is among the most well known. Readers meeting me for the first time often proudly display their newly acquired briefcases, and those who email often tell me stories of benighted graduate school peers STILL lugging backpacks around their conferences. 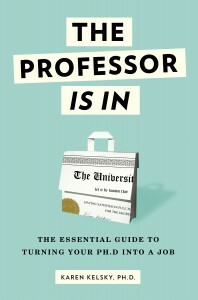 I stand by this advice–in the sense that it is meaningful to sartorially mark your transition from the grad student identity to the job seeker/professional identity. While the bag you carry will not, in and of itself, determine the job you get (it really won’t! ), it plays an important role in delivering an image of professionalism (or lack thereof) to interviewers, and also, I think, in solidifying your own inner sense of professional identity. 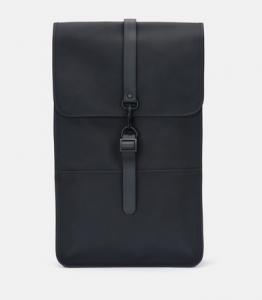 With the important caveat that there are a few fields, such as Astronomy, where sleek and chic briefcases — or fancy backpacks of the kind I introduce here — are absolutely not the norm. If you are in such a field, feel free to disregard this advice. However, PLEASE confirm with several trusted senior mentors that your sense of the field is correct. Sometimes people balk at the idea that any element of appearance should play a role in the search. Your appearance does communicate many messages about you; believing it doesn’t is denial. What role exactly it plays, however, is subtle. I go into more detail about this unpredictable and unquantifiable role in the post, Data Point, Data Point, Data Point. However, I want to update my advice. My partner Kellee Weinhold, who is also our amazing Unstuck productivity coach, suffers from fibromyalgia. After two extended speaking tours in the UK and Europe the past two summers, it has become unmistakably clear that she should no longer carry a briefcase because it causes her too much back and shoulder pain. As a result, I went on the market to find a good, professional-looking backpack option. And lo, I found many! 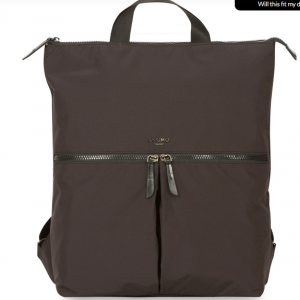 It turns out, the world of backpacks includes many really sophisticated options that still accomplish the goal of marking a transition from the ratty Jansport of grad school. So, in this post, I want to share with you the brands I discovered (my links are to my favorite women’s items, but you can search the sites for options, including men’s bags, messenger bags, etc.). Be aware: most of these are not cheap! But a good bag should last you for many years, and is one of the most important investments you’ll make in work-related gear. And some of them can be found on Zappos and other sites, where you may be able to use discount codes, Ebates, and so on. All of the ones I list here reflect my personal taste – highly streamlined, in black or gray. But there are color and print options for many of them. 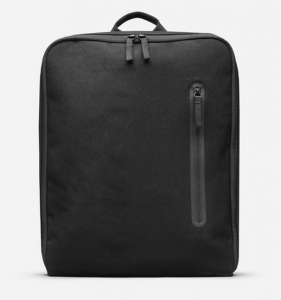 Booq Bags, especially the Cobra Squeeze. This is one cool backpack. And award-winning too! 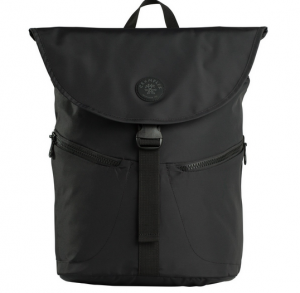 And of course, the cult-favorite San Francisco-based Timbuk2, which are totally customizable. You can get a Froot Loops print. Should you? That’s a separate question. So, to conclude if physical issues or your mode of transportation require you to use a backpack, you can still make the same stylistic transition as your briefcase-carrying peers! 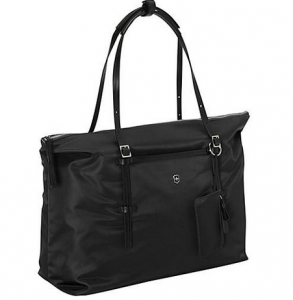 If you’re curious, I carry a lightweight soft-sided Victorinox Charisma Work Tote as my briefcase. As my “personal item” on the flight, it’s almost infinitely stuffable so I can fill it with a blanket, snacks, drink, and magazines and book, as well as laptop, kindle, wallet, and toiletries… but it’s lightweight so it doesn’t kill my shoulder! Upon arrival I take out all the travel gear and it transforms into a respectable briefcase/laptop bag. 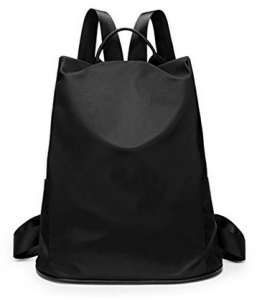 compact yet roomy, feather-weight nylon backpack daybag, as an easy-to-carry purse for sightseeing, restaurants, shopping, and zipping around town. 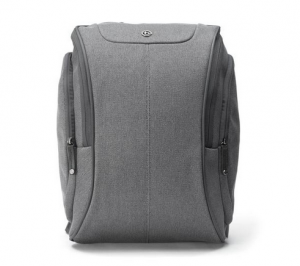 It’s light, folds up to almost nothing, never wrinkles, doesn’t show dirt, is easy to clean, is waterproof, has outside pockets, holds lots of stuff, has the ease of a backpack for when you have to grab a subway strap, and still looks stylish and put-together in an urban environment. (Note it’s not big enough to hold most laptops). Bonus: it has the security feature of the main zipper opening on the inside (ie, next to the body). And it’s incredibly sturdy, which is good, because I’m hard on my travel gear. Similar-looking models are here and here. These are all Korean-style-inspired (although I think manufactured in China), as Korea seems to be the home of chic small backpacks. Amazon will show you countless other options. I tried many before settling on this one, and I love it with all my heart! Feel free to share your briefcase and backpack recommendations below! My first year at Uni, my mother bought me a gorgeous leather satchel, which 3 degrees, 4 universities and two countries later I still default too if I need to be taken seriously. Admitting during my masters and my PhD and to a certain extent my everyday wear, a backpack is more practical. But when I have meetings on our main campus, in the big smoke, or at other universities, my satchel gets pulled out. It goes with everything and I know I can fit my laptop in it if needed. You left out the one my fibro-suffering husband has used for years: the Back TPack. Thank you for the alternate suggestions to a briefcase. They were interesting and useful. As to your general advice about whether or not to use a backpack in the academic workplace, I think it would be more useful to discuss the airspeed velocity of an unladen swallow. Feel free to pick whether African or European. 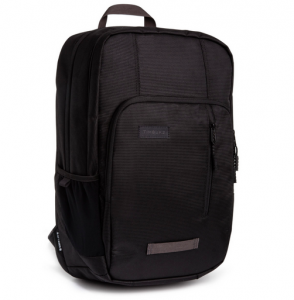 My backpack may not look as professional as others, but it’s designed to carry without stressing the back – a necessity since I trashed my spine in a car accident last year. 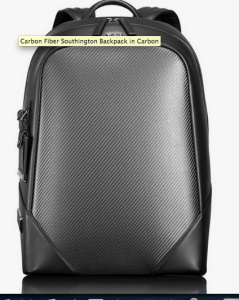 Tom Bihn’s are great – and no one (at my age) mistakes me for an undergraduate… or even a grad student! Although I’m in my twenties, I’ve been following this blog for three or four years. I have also had four spinal surgeries. Given that, I could always tell that the advice about briefcases was not meant for me—so I have been ignoring it in favor of the professional backpack. Even so, the anti-backpack post did make me angry whenever I thought about it. I’m glad to see this finally updated. If that works for you, by all means do it! I mean, I agree that it might feel weird and juvenilizing and if that proves more distressing to your performance than carrying a good backpack,then reconsider, but only you know the answer to that.